Once again, I had too much fun over the weekend to get my stuff together to post on Monday. I really thought about it Sunday night but a 9pm bedtime looked way better! 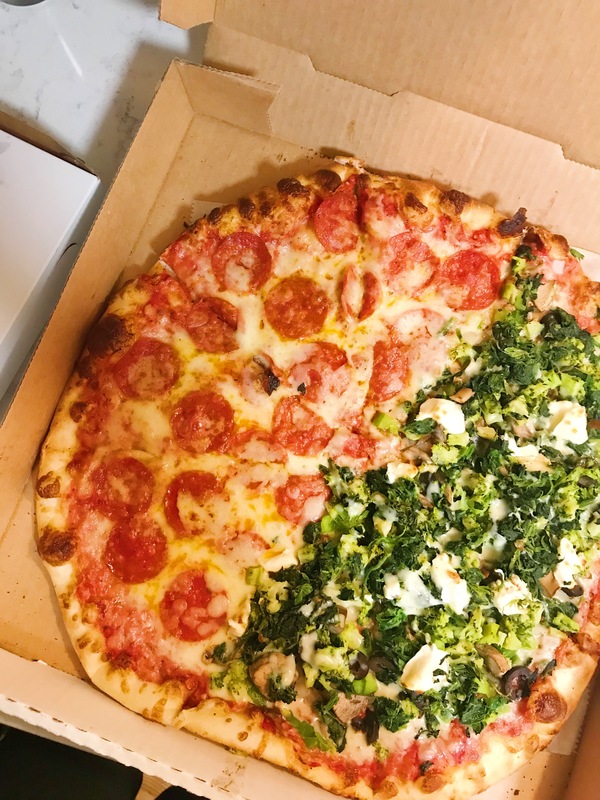 Friday night was super low key–we got Pizza 51 (I get the veggie and add cream cheese, yum!) and started the 5th season of House of Cards. This season is definitely not my favorite but I feel like I need to see it through the final season. Saturday, I got a spray tan and ran errands. It was rainy all day and I looked like a crazy person trying to cover every inch of my skin from the water, ha! 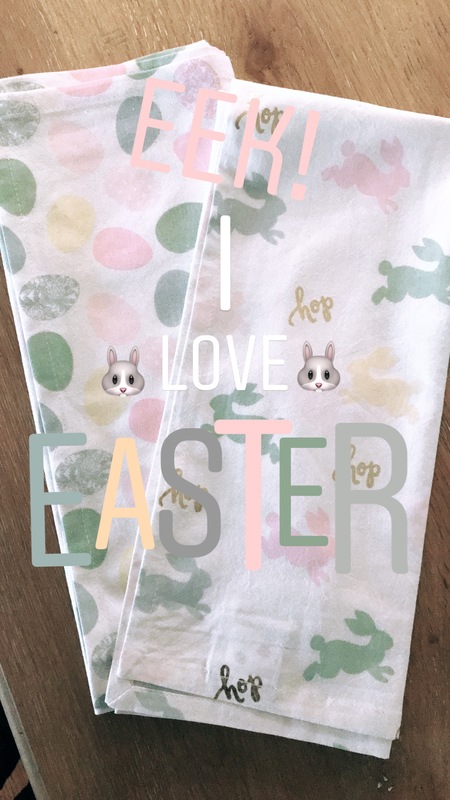 Target had some of the cutest Easter decor. I’m so excited to decorate now! Saturday night we went to Rockhill Grille for drinks and apps before the Pink Party. I love the Rockhill Collins and the cheese stuffed tater tots are so good! I had never had the bruschetta and it was pretty amazing. 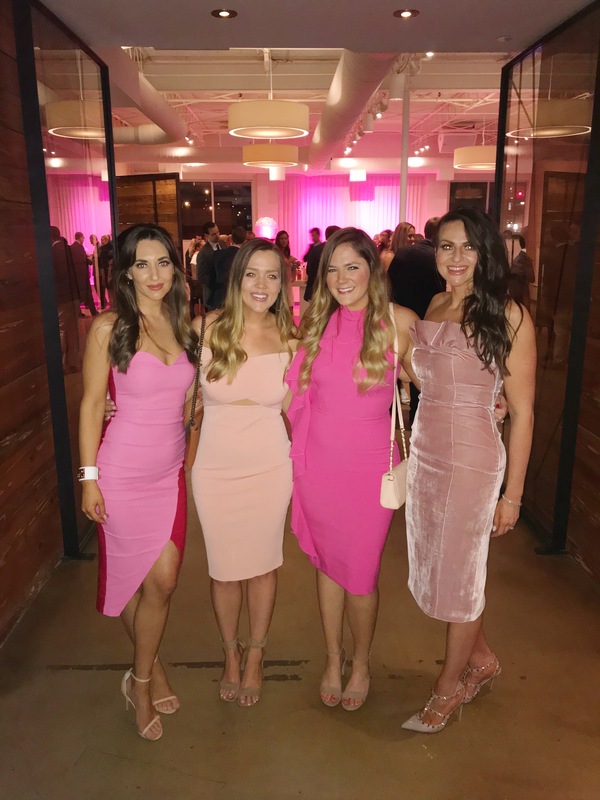 We went to the Pink Party after. The party benefited Missys’ Boutique. It was our second time going and we had so much fun! 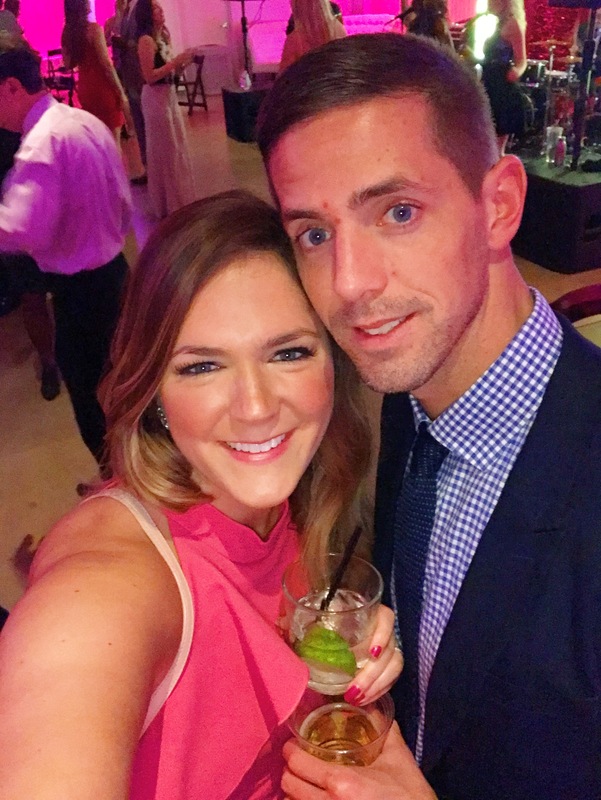 I wore this ASOS dress (with knee to chest spanx….hahaha!). Nick said it looked like a Mrs. Doubtfire situation going on. Sunday we met our friends who just moved back to Kansas City from Charlotte (WOOHOO!) 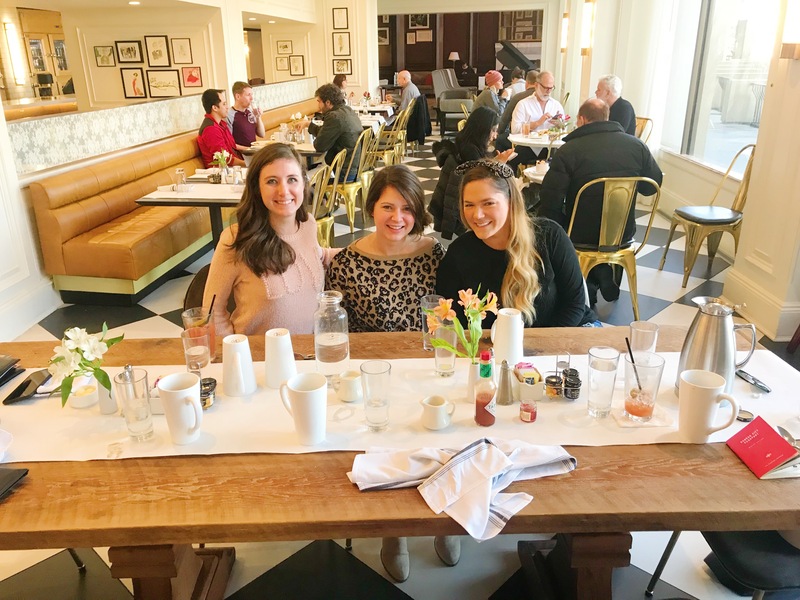 for brunch at American Slang, in the Intercontinental Hotel on the Plaza. 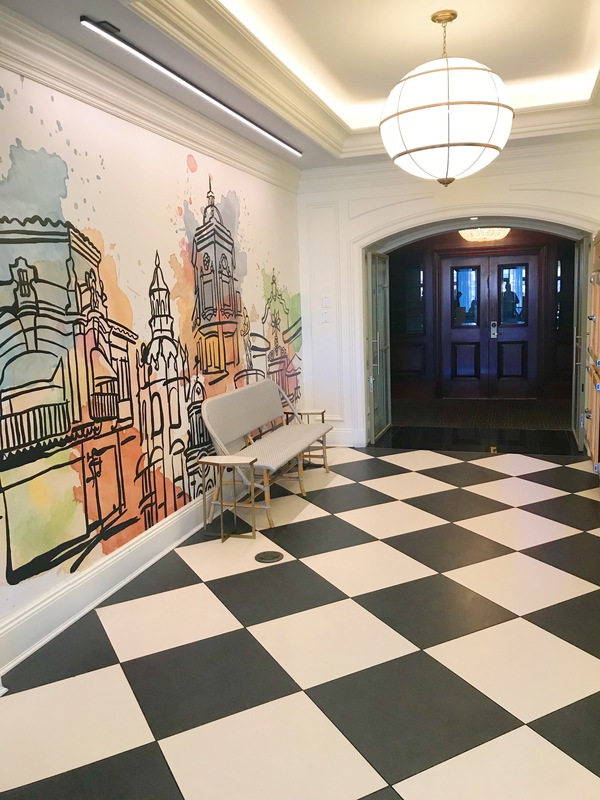 I loved the decor and am obsessed with the checkered floor. 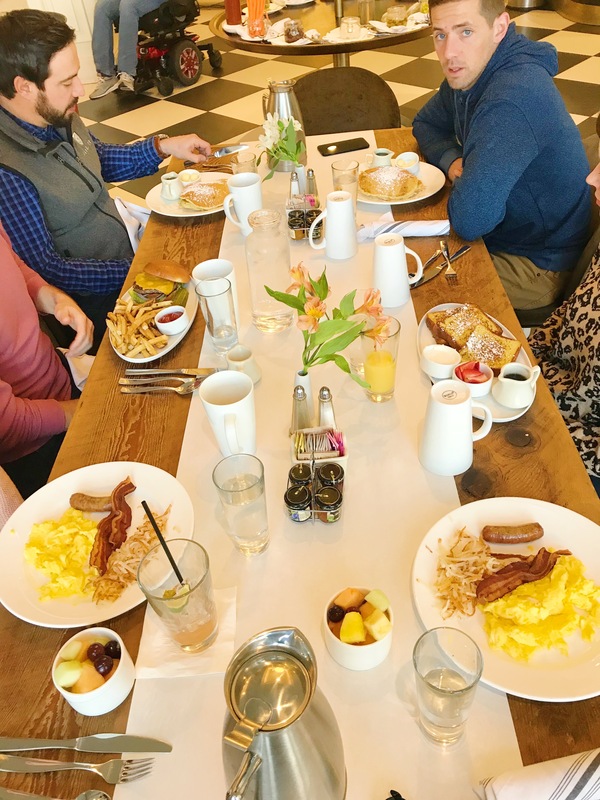 I got a pretty simple breakfast–eggs, bacon, & toast but it was really good! I snuck a few bites of Nick’s pancakes that were yummy! They had a build your own Bloody Mary bar too! 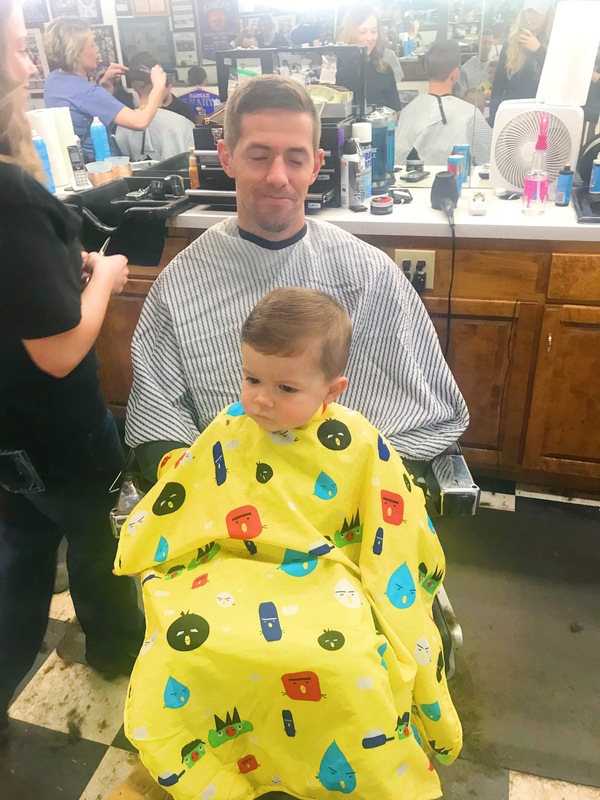 We ended the weekend spending time with family–our normal Sunday barbershop trip with Nick and my nephew, Onery (Henry). H always does such a good job getting his hair cut! And we then we went to my BIL & SIL’s new house that they just built. It is BEAUTIFUL. 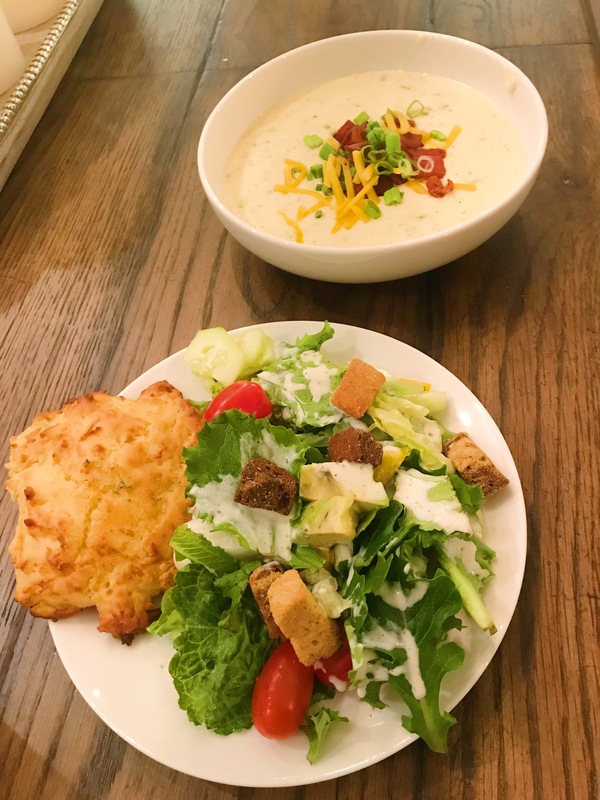 My SIL made us dinner which was so sweet–salad, cheddar biscuits, and potato soup! wow!